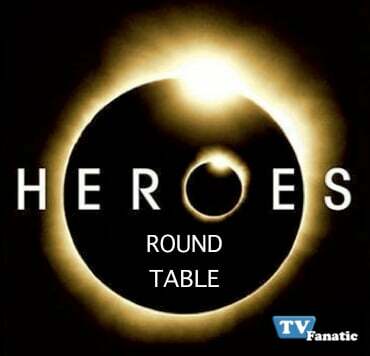 Heroes is back - and so is our weekly Heroes Round Table! Following each new episode of the series, our staff will gather and share our thoughts on the latest episode of the NBC drama. We encourages fans to do the same in our Heroes forum! A. Hiro: It pains me to say this, but: I hope so. The character is now nothing but a comedic tool. Compare that to the visionary character from season one. To actually kill Hiro off would create the buzz Heroes needs, while giving him a purpose once again. Milover: I doubt it. I'm in favor of this storyline, but I wished they had drawn it out more. It makes sense that Hiro's constant time travel would affect his brain/body; and it was noble of him to initially tell Ando that he wouldn't go back in time because it put the world in danger... but within the first episode, he's already flip-flopped on this stance. The entire idea of "the butterfly effect," which Hiro referenced, is that even the tiniest change to history can alter the course of humanity. Timex: No way. This is Heroes. When was the last time a main character died?!? What will happen with Sylar? A. Hiro: Parkman is gonna turn evil. Similar to my first answer, I hope this takes place because it would give the show a bolt of energy. Inspired by his visions of Sylar, it would be cool if Parkman became the embodiment of that villain's dark ways. Milover: Again, this is a great idea handled poorly. It would have been very cool to watch Nathan slowly - very, very slowly - transform into Sylar. Instead, the show depicted a lack of patience by having Nathan already exerting so many tendencies of the person inside him. Timex: Honestly, I'm confused. Angela is dreaming about Sylar; Parkman is having visions of him while awake; and Nathan is the body for him? I'm not insulting the series. I'm seriously asking. I don't follow. A. Hiro: Someone we haven''t met yet. Milover: It's gotta be someone affiliated with Samuel's carnival, right? If the goal is to gather all the Heroes together, this seems like a way to force Claire back to her former life. Timex: I wish it were Adam Monroe. How great would it be to have him back?!? But I'm gonna go with Gretchen. She seems nice enough now, but there's gotta be a lot more to this new character. Grade the performance of Robert Knepper as Samuel. A. Hiro: A Plus. I loved him on Prison Break and he's somehow even more creepy now! Milover: A Plus Plus! Take that, A. Hiro. Seriously, he was terrific. The show needs another villain. No offense to Sylar, but his act can get hold. Samuel is a breath of fresh, entertaining air. Timex: A Minus. Only because Sylar will always be the top villain in my eyes.